The ibis Styles Leipzig hotel is conveniently located between Leipzig exhibition center and Leipzig/Halle Airport. You can reach us by car via the A14 highway. Our 127 rooms feature the classic ibis Styles design and our Family Rooms were renovated in 2018. 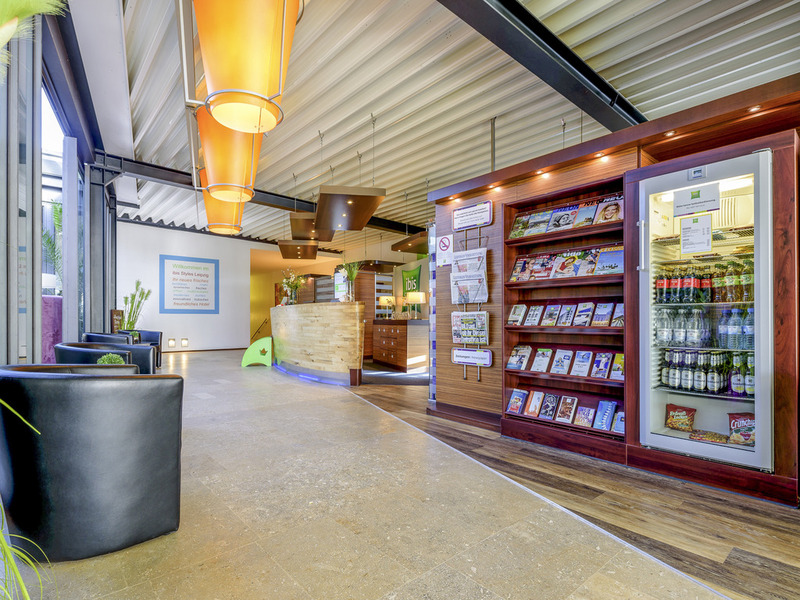 Complimentary WIFI, coffee, teas and phone calls to German landlines are also available. For your well-being during your stay our sauna and fitness center can be used free of charge. Our delicious buffet breakfast is also available at no extra cost. Leipzig is flourishing: Grand renaissance and baroque buildings, historic squares and passages shine with a new luster and provide great opportunities for sightseeing and shopping. A visit to Gewandhaus concert hall and the opera is highly recommended. Our hotel's 127 designer rooms are spacious and quiet with a comfortable bed and modern bathroom. They offer everything you need for an enjoyable stay. The interior alone will make your visit to our Zeitlos restaurant an experience: The industrial architecture with its high ceilings, steel and glass characterizes the room. Even the authentic wooden furniture has a history.